NEW YORK, N.Y., Jan. 9, 2019 (SEND2PRESS NEWSWIRE) — Tenorshare 4uKey upgrades to version 1.6.3 which is now fully compatible with the iOS version 12.1.2. The new version has optimized some features such as accelerated download firmware speed, supports the newest iPhone models, etc. “We always keep adapting to changes and timely update our software to meet more user needs. Since the first iOS 12 beta released, we have tested our programs for several months and now we are excited to announce that all our iOS software are compatible with iOS 12,” said Mike Lee, Tenorshare CEO. It is specifically developed to assist people in removing the passcode from damaged or broken iOS devices such as iPhone, iPad or iPod. The software is quick and reliable and helps the users to remove iPhone password or iPad passcode in case they have forgotten it or the device is disabled. There are several complaints regarding situations when it was really urgent to use the iOS device but the user forgot iPhone/iPad passcode. 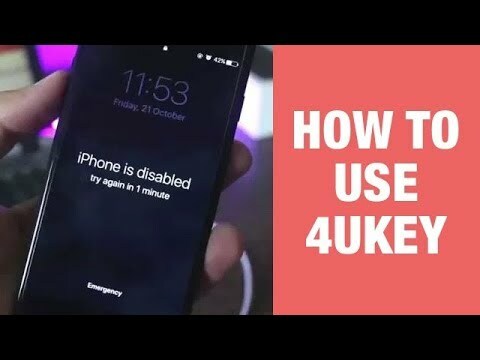 Tenorshare 4uKey assists in dealing with problematic situations such as forgetting of iPhone passcode, iPhone is disabled, iPhone screen broken, and forget iPhone restrictions passcode. As a pioneer in the software industry, Tenorshare brings this excellent software in the market to add ease and convenience into your lives. Fully compatible with iOS 12.1.2 and iPhone XS, iPhone XS Max, and iPhone XR. Bypass the iPhone without password instantly. Helps you unlock the iPhone when the device screen is broken. Unlock the device when iPhone is disabled. Unlock iPhone when you forgot the iPhone restrictions passcode. Factory reset iPhone without password. Removes every type of passcode including the 4-digit or 6-digit passcode, Touch ID, custom numeric code, an alphanumeric code, and Face ID from iPhone or iPad. The Windows version of 4uKey is $35.95 and the Mac version is $45.95. Founded in 2007, Tenorshare is a leader in providing various software for the iOS devices. Tenorshare’s products are trusted by millions of users across the world. Tenorshare employs skilled developers to create high-quality products. For more information, you can visit Tenorshare official website – https://www.tenorshare.com/. To view the original post, visit: https://www.send2press.com/wire/tenorshare-4ukey-version-1-6-3-now-supports-ios-12-1-2/.